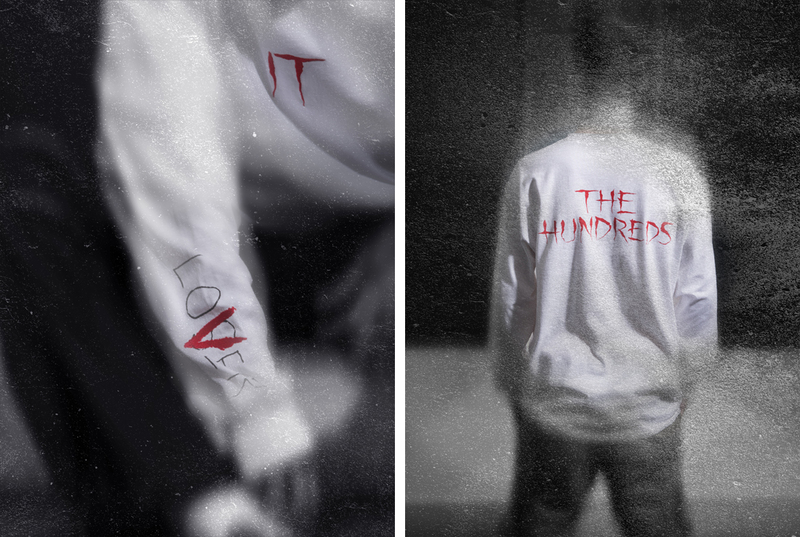 The Hundreds is proud to announce the The Hundreds X IT collection. The collaboration will be available at flagships, select retailers, and the Online Shop. New Line Cinema’s horror thriller “IT” recently broke records by being the highest grossing horror film of all time. The critically acclaimed blockbuster is based on the modern classic Stephen King novel of the same name. 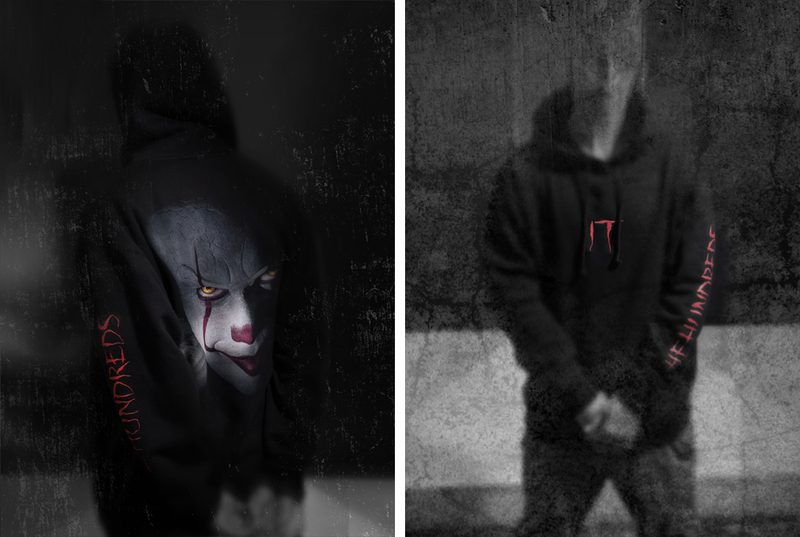 The movie follows the story of a tightknit crew of 7 young outcasts in Derry, Maine, terrorized by a shapeshifting being they call “It.” Through their collective fear, the group that calls itself the Loser’s Club cements a friendship deep enough to fight back against evil in its many forms and ultimately confront Pennywise the Clown. One of The Hundreds’ mantras is “FIGHT BACK,” so we’re proud to present The Hundreds X IT, an homage to the Losers’ Club and outsiders who overcome. The collection features a series of T-shirts, a pullover hooded sweatshirt, and dad hat. 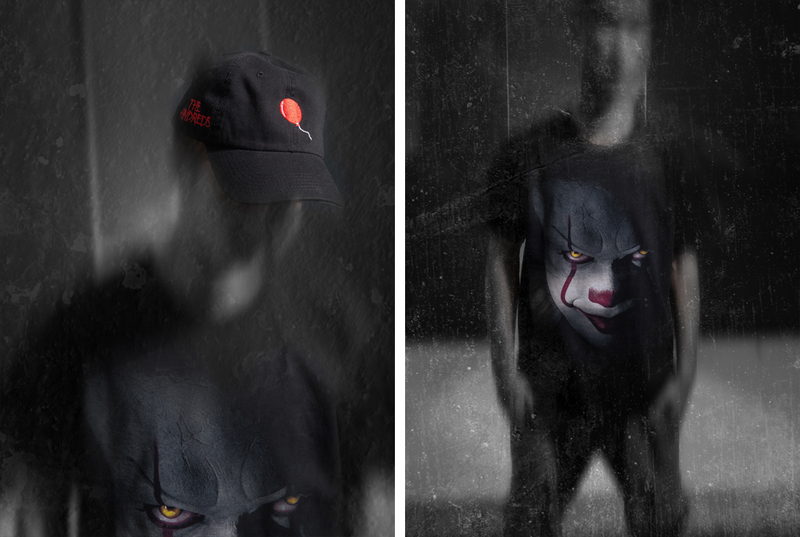 Graphics feature Pennywise the Clown, the “IT” logo, and ”LOSER/LOVER” handwriting from Eddie’s cast in the film. 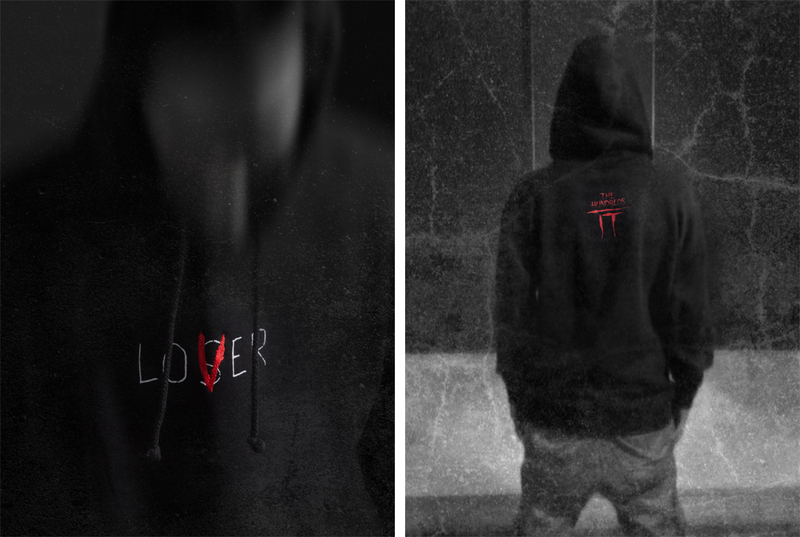 The “Loser” hoodie is a highlight from the collection, featuring a red “V” embroidered over the screenprinted word “LOSER” at center chest. Lookbook shot by Bobby Hundreds.